This year's Scotland's Towns Week will take place from 18 - 24 November 2019: our week-long celebration of the nation's towns and those who work to support Scotland's towns and city districts. Watch this space for information on how to take part, the events schedule, and details of this year's FutureTown Design Competition. Many thanks to all those who participated in Scotland's Towns Week 2018! The week-long celebration of the nation's towns, which takes place each November, was an opportunity to collaborate, share best practice, interests and opportunities and ultimately to bring life, vitality and vibrancy back into our town centres and city districts. 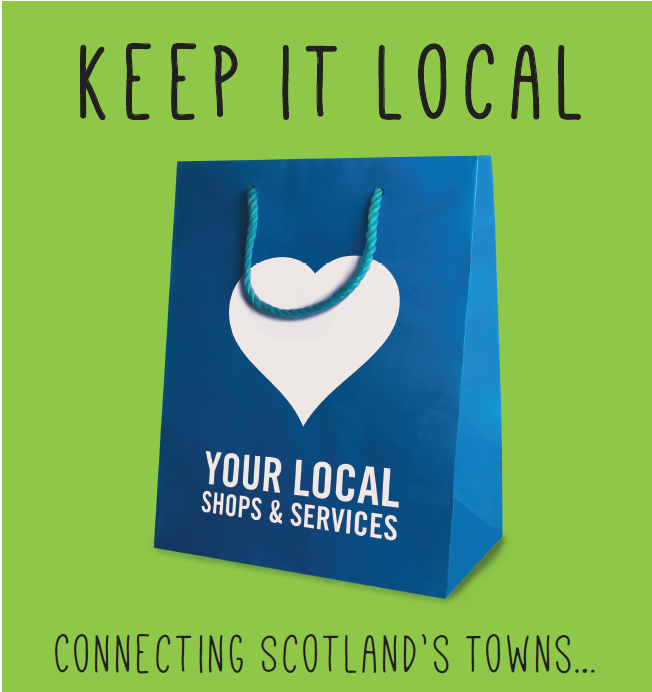 Campaigns by Fife Council, East Ayrshire Council and others to celebrate local towns. Through all of this activity the profile of towns & city neighbourhoods was raised and the importance of 'place' to social and economic wellbeing was highlighted. Both Scotland's Towns Partnership and Scotland's Improvement Districts now look forward to supporting those who work for positive change in our communities throughout the coming year! The Scotland's towns network came together and celebrated their places during Scotland's Towns Week 2017. A week long celebration of all things towns with events and campaigns taking place across the country. You can look back on some of the key events at the links below, and get inspired for how to take part in 2019!